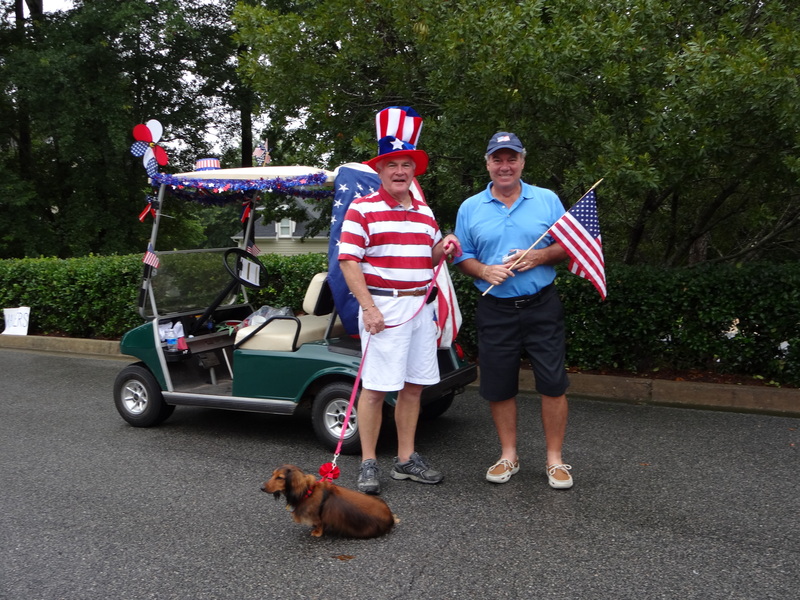 The 3rd Annual Harbor Club Golf Cart Parade was held today at 10 AM. Just in time, the gray clouds parted, and the rain took a break so that the parade could go on! Entrants were decorated golf carts, strollers, wagons, and walkers in costume. Even the dogs got in the act and sported the Red-White-and-Blue. The Bill and Pat Frain Family won a golf cart prize with a replica of the Liberty Bell on the roof of the cart, and a multitude of grandchildren along for the walk. Following are pictures of other entrants, and onlookers. Enjoy next July 4th in your own place at Lake Oconee! Prices are about to go up, as the market here is improving. Come for a visit, and we will show you the possibilities!